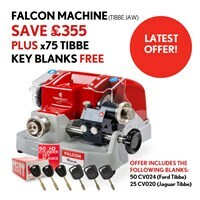 Cut to code machine for Tibbe (Ford and Jaguar), Abus and Abloy keys. 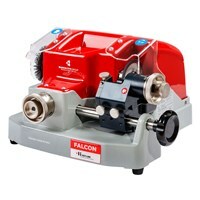 Supplied with Tibbe jaw, Abus and Abloy jaws supplied separately. This machine cuts keys precisely at 360°, without needing to remove the key. Easy fit adaptors allow the key to be fitted in the jaw securely without any allen keys or tools. Quick release jaws enable quick jaw changes without the need for tools.